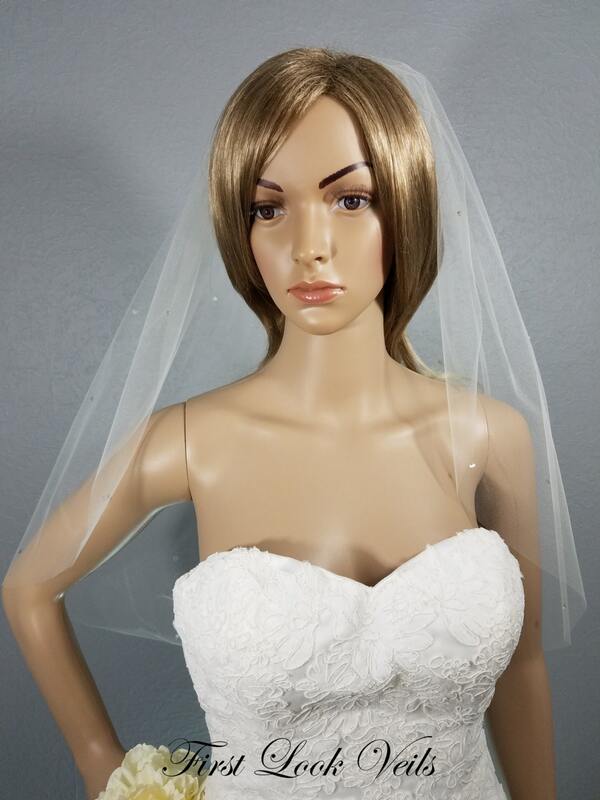 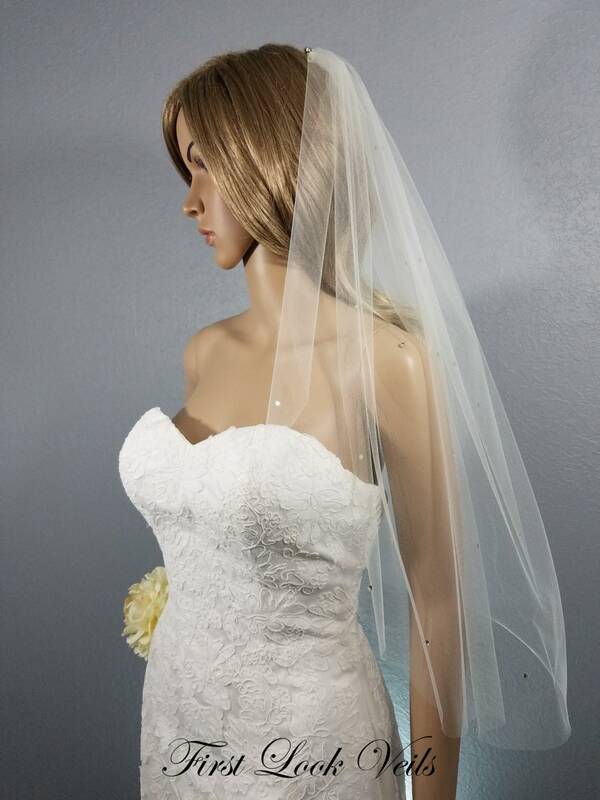 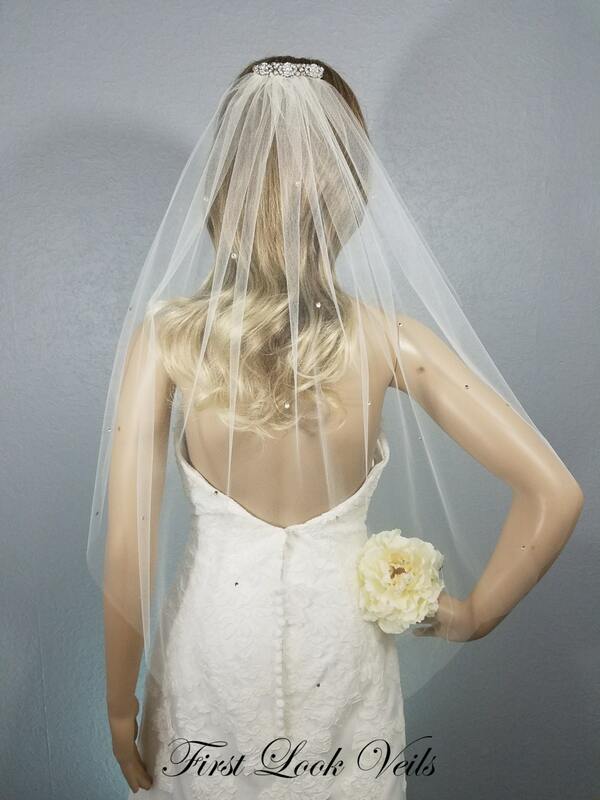 THE STYLE: This ivory wedding veil is elbow length and designed for the bride who wants to sparkle and shine on her wedding day. 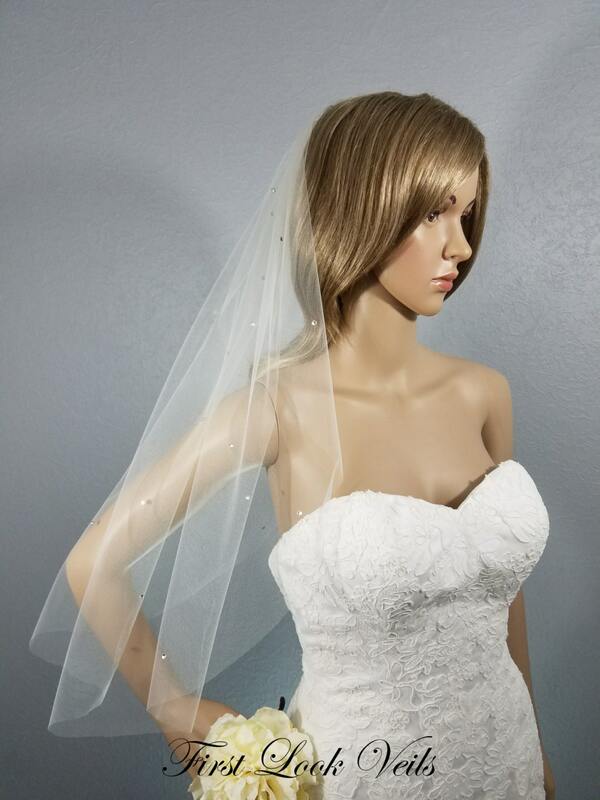 The veil’s Bridal Illusion ivory tulle is sprinkled with crystal bling and the top is hand designed with silver broaches and crystal beads. 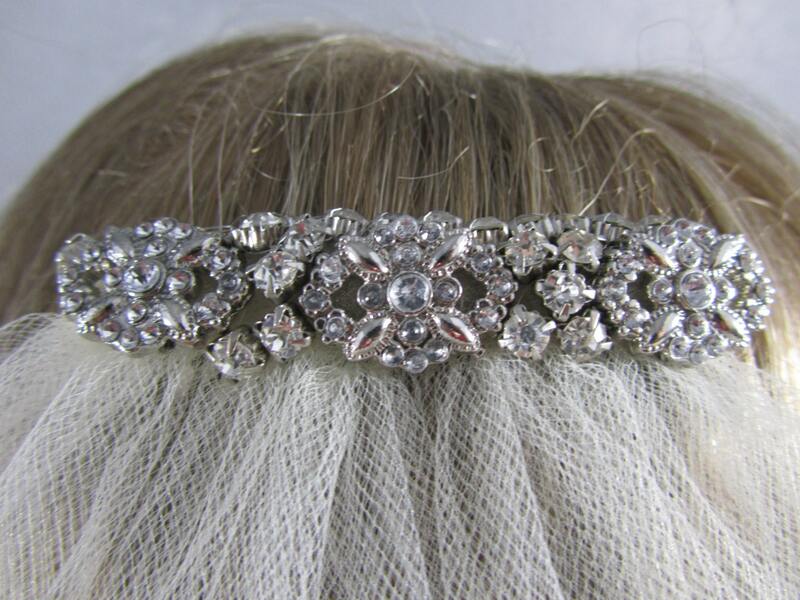 LENGTH: The pictured veil is an elbow (approximately 25 inch) length from comb placement to bottom of veil..